For the most part, the conversations about the emergence of MOOCs (Massive Open Online Courses) that have flooded the media have focused on open online content for higher education and professional development. Now, however, the landscape is changing and K-12 technology directors, administrators, and teachers should spend 2014 preparing for the promise and the pitfalls of K-12 MOOCs. ■ AmplifyMOOC: A two-semester MOOC aimed at AP computer science. ■ Exploring Engineering: A pre-college course developed by Wendy Drexler, a pioneer in the K-12 MOOC field. The course was created to introduce students to engineering concepts and processes. ■ Digifoot: A course created by Verena Roberts, another leader in the field of K-12 MOOCs. It teaches K-12 students about social media and digital tools. ■ K-12 Teaching in the 21st Century: A MOOC co-developed by Michigan Virtual University and Kent State University. K-12 students, pre-service teachers, and in-service teachers all partner to explore teaching in the 21st century. Given the relative infancy of MOOCs, there is not a tremendous amount of research on their effectiveness—particularly at the K-12 level. However, there are at least three important findings that will inform integration efforts. 1. Not all MOOCs look alike. Most notably, scholars like George Siemens and Stephen Downes have differentiated between xMOOCs and cMOOCs. cMOOCs are built upon connected learning principles and focus on knowledge creation and generation while xMOOCs highlight knowledge dissemination and duplication. Technology leaders should not blindly accept reports of MOOCs leading to knowledge improvement or producing a lack of individualized feedback without further exploring the instructional strategies (e.g., pedagogical beliefs) of the specific MOOC. 2. MOOC participants are typically highly motivated. Recent research at San Jose State University provided evidence that those who succeed in MOOCs are typically those who are highly motivated. This is due, in large part, to the fact that many MOOCs lack a pedagogical infrastructure to provide interactivity. The good news is that researchers like Lori Breslow have have also found that peer support can offset this lack of instructional feedback. This finding matches much of what we already know about K-12 online and blended instruction— unmotivated students will need extra support. 3. MOOCs can engage multiple audiences in novel conversations. One of the few published studies on K-12 MOOCs highlighted a video-based environment in Italy. Researchers Enrique Canessa and Armando Pisani provided evidence that the MOOC environment was engaging to teachers, students, and parents. In our recent work, we found the MOOC provided an opportunity for three separate audiences—K-12 students interested in teaching, pre-service teachers, and in-service teachers—to support each other as they learned about teaching with technology. How can school leaders prepare for these changes? 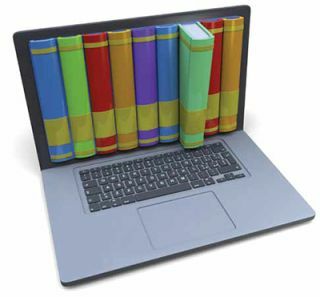 One of the reasons that MOOCs have gained prominence in both the literature and in practice is because they capitalize on connected learning principles. We already live and work in a networked society. We draw on videos, blogs, tweets, paper, digital print, and other media to support our interests, needs, and goals. MOOCs can provide a way for educators to begin to re-shape and re-think their curriculum and their instructional strategies. There are at least three next steps for technology leaders to prepare for MOOCs in K-12 teaching and learning. 1. Enroll in a few MOOCs. MOOCs may fundamentally change the world education landscape or our current definition of them might change tomorrow they may fail to make a significant impact. However, school technology leaders would be remiss if they did not participate in the conversation from a first person perspective. The suggestion here is plural because not all MOOCs are the same. Enrolling in multiple MOOCs will give technology leaders opportunities to explore important concepts like digital badges, open content, and peer interaction. 2. Consider the adaptation of existing content. Developing and teaching a MOOC is not the only way to include MOOCs and MOOC content in K-12 schools. Most MOOCs are created by drawing on existing content and/or open content. This content is often tagged with a Creative Commons license. K-12 teachers have already found success by enrolling in MOOCs and adapting the content to their own courses or by having their students enroll for sections of the course to supplement face-to-face instruction. 3. Stay informed by having connected conversations. The implementation of MOOCs into K-12 districts will lead to more initial questions than answers. Who owns the content? Are we interested in offering classes to those outside our district? How do we maintain the safety of our students? What platforms best support our own MOOC development? What are the ways in which we can assess student performance? What platform do we use and how do we get connected to others wanting to offer similar content? These questions should not be answered in isolation. School leaders and parents should use connected learning tools (e.g., social media) to stay connected to the research, practice, and conversation about best practices in using MOOCs.